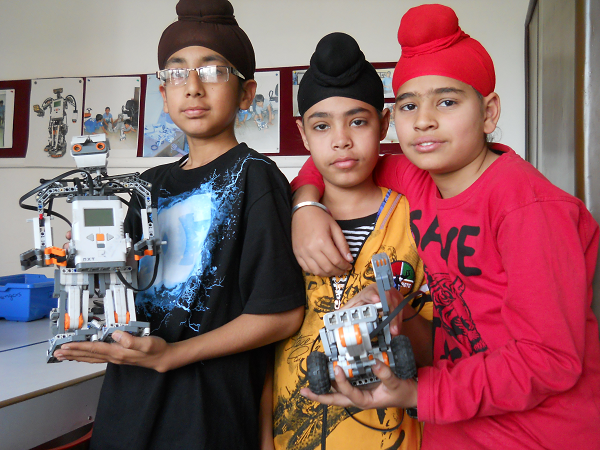 During the basic robotic program of 5 days, students will design, construct, program and operate fully functional robots. 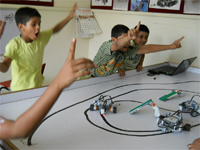 Each day they will build and program a new robot. 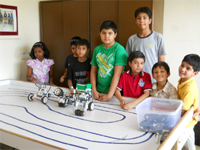 We are organizing Robotic workshop for 5 years to 16 years of age group of children in groups during Summer vacation from May 13, 2018 to July 31, 2018 at Gurgaon. Regular classes and weekend Programs are available. 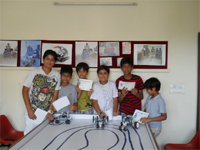 We also organize Robotic workshop for schools, hobby clubs, children clubs or welfare-associations etc. as per their schedule. 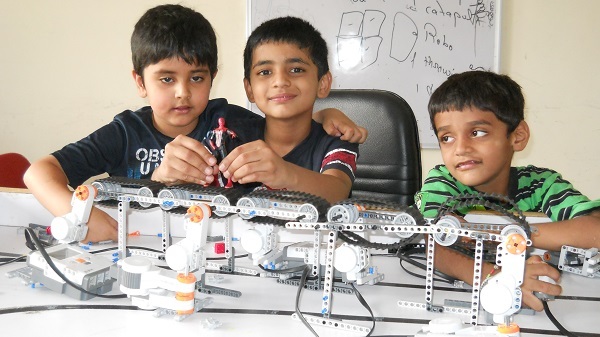 We are running new batches every week weekdays as well as on weekend Registration for the workshop is open. 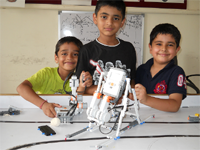 Our Fee for the basic programme of 5-days workshop is Rs.2,500/- You can register your child online. Our fee for the level II programme is Rs. 4,000/- for 10 classes.